What makes ombre one of the most popular hair color trends? We think it’s the beautiful range of tones that can be achieved with the special way that our stylists apply color to your hair. The soft color gradation of a hue on the lower section of your hair gradually blending into another shade at the top is just simply CAPTIVATING! It’s the kind of color that makes complete strangers stop you on the street for a closer look. At The Retreat, we’ve perfected this specialty hair color technique and all of its variations. You can opt for the most popular ombre highlighting technique in which a lighter shade is applied to the ends, or if you’re seeking an off-the-beaten-path alternative, a darker shade or fantasy color can be added to the tips and blended upward. By choosing the perfect customized hue to add to the ends of your hair, our stylists can create a signature look for you that is nothing short of epic color greatness. Another reason our New Orleans guests love ombre hair color? It’s super low maintenance. Let’s face it, busy women with busy schedules often can’t find the time to make it to the salon every 4 weeks for a touch-up. Ombre highlights give you fabulous color that doesn’t need constant upkeep. You get amazing style that still looks amazing weeks after your salon appointment. Make an appointment with one of our stylists today, and discover how fabulous you can look! Have you had an "Oh No!" hair color moment? Never fear! Our color experts are great at fixing hair color mishaps from other salons and from boxed hair color that just didn't turn out the way you wanted. The secret of natural looking highlights often seen on the tresses of celebrities and runway models is out! With our balayage highlighting technique, you can have those effortless sun-kissed look, too. Want to keep your hair color looking fabulous and protect it against fading? 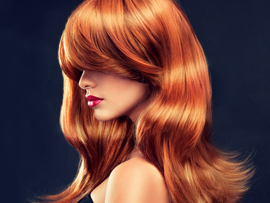 Our stylists share expert advice on products and daily hair care that will give your hair long lasting, shiny, vibrant color.